Well, I've been putting this blogpost off for a while thinking I would get to the second stack of tshirts that made their way to the craft table after the first round of tshirts were turned into bags...but alas, a couple of tote-bag projects got in the way, and then Girl Scout season started up again, creating a landslide of vests, sashes and patches going under the sewing needle. Sigh. But here's where I'm at so far...basically I've made a mess? 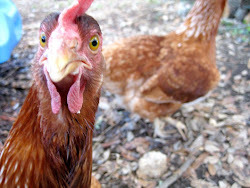 a gaggle? a herd? a flutter? a swarm? a colony? a dray? a bevy? a...oh, whatever, it's a bunch of bags made out of old shirts. (About 20, in fact, from 6 shirts). 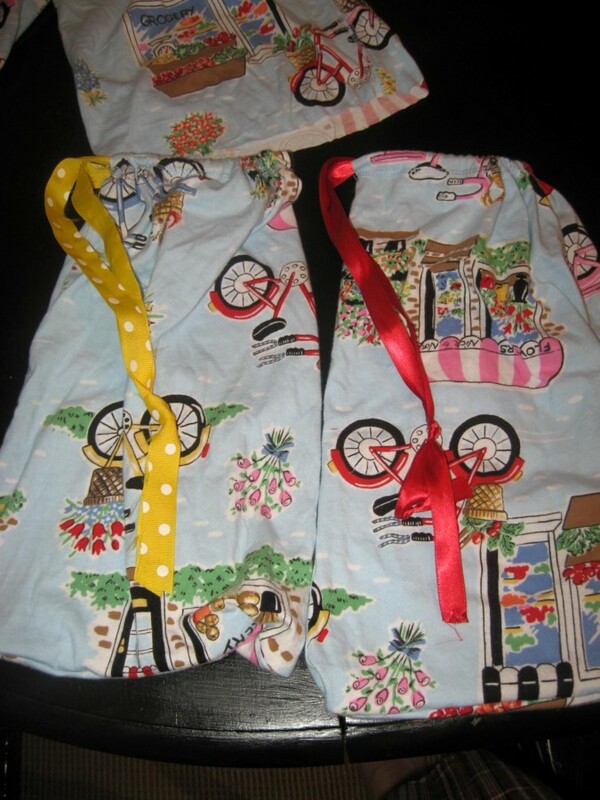 My goal was to create bags of various sizes that could be used to replace baggies. 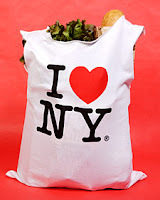 But not just sandwich baggies, I wanted to create bags I could take with me to the grocery store or to farmer's markets to replace produce bags and bulk bin bags. 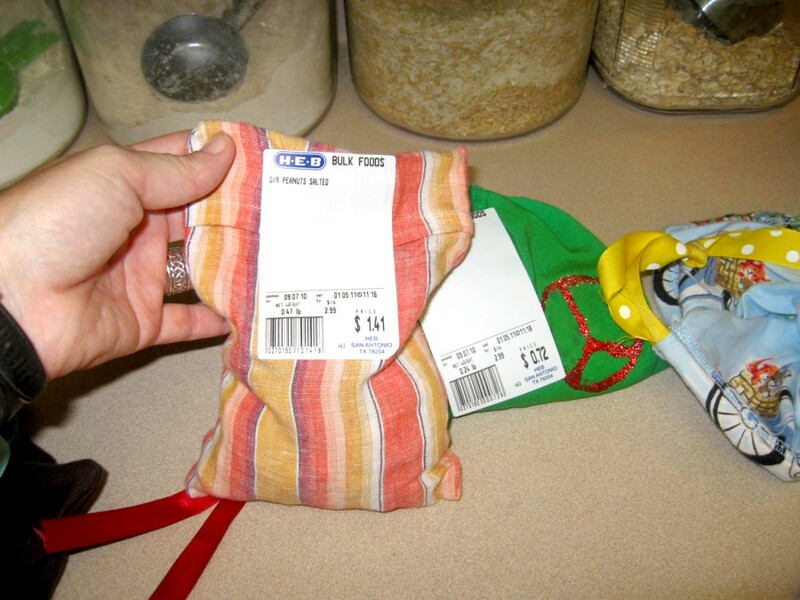 To essentially replace all forms of plastic bags used in getting food home. I was inspired by the idea after reading this blogpost and watching her tutorial video. And then watching this video where a crafty gal whips up 5 different bags from one shirt in just a matter of minutes - at the farmer's market no less (seriously, watch the video). I also loved these recycled tshirt bags, which even the kiddos can make by just sewing one straight line at the bottom. So the first thing I did was go thru closets and pull out large and small shirts that were no longer wanted. At first the kiddos refused to help and barred me from entering their closets, but after they saw all the bags I was making they ran to their closets and starting pulling shirts off hangers saying "Make me one! Make me one!" (hence the second stack of shirts I've yet to get to). I even found some old pajama pants I rarely wore, and while I wasn't willing to give them up entirely yet, I did cut off the material from the knees down (making them more like crop pants) and used that material to make 2 more cool produce bags. All I did was cut the pants leg off just below the knees. I turned the cut piece inside out and sewed up the cut end. That left the hemmed side open. Viola! A bag! 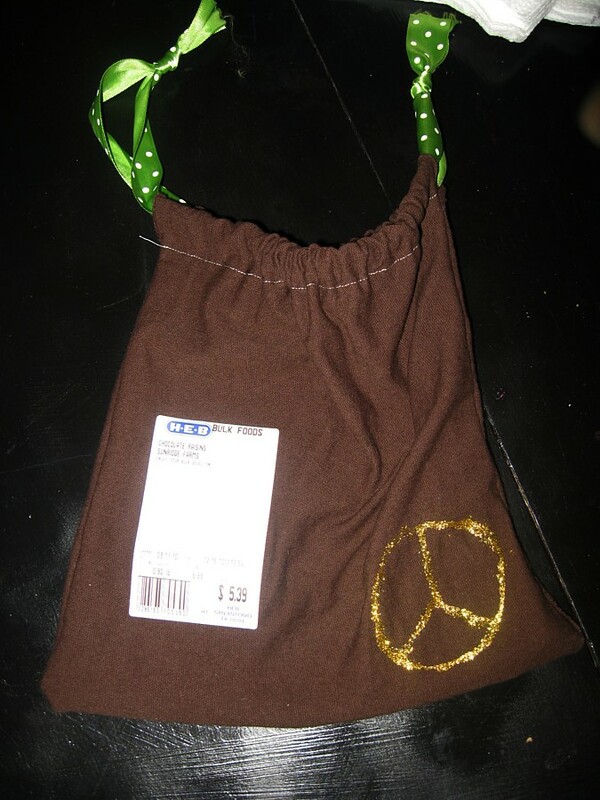 To add a drawstring, I used a long piece of ribbon (you can use twine, rope, whatever), cut a small slit on each side of the hem, put a safety pin in the end of the ribbon and bit by bit I worked the safety pin thru the hem opening so that it went all the way around the bag. Pulled the ribbon thru, cut it to the length I wanted, tied a knot in each end (so it can't pull back thru) and Viola! A drawstring bag! Two, actually. 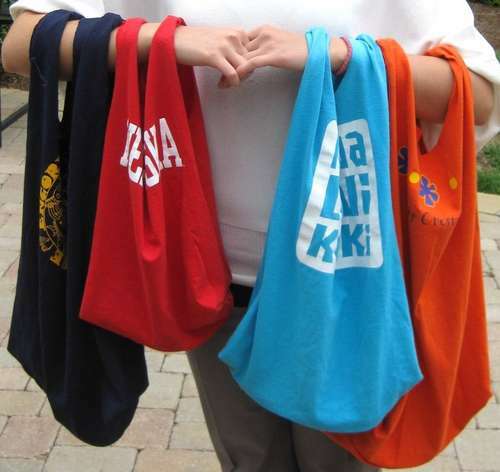 Use this same idea for making the bags from the tshirts. Lay the shirt out flat. Cut off the sleeves (these will make small bulk bin bags), then from the main part of the shirt you can cut (depending on the size of the shirt and the size you want your bags) 4 sections out by simply dividing it up. For kids size shirts you can only get one bag out of the main body of the shirt. Just cut all the way across under each sleeve. Turn inside out, sew up the cut side and add your drawstring to the hemmed side. Easy peasy. For the larger sections cut from a larger tshirt, on at least 2 of the top sections you will have 2 cut sides. But it's basically the same idea. Just turn the 'bag' inside out and sew up one of the openings. For the other cut side you will have to create your own hem so you can add the drawstring. That's just a matter of turning 1/2 inch of fabric in and sewing it up for each side. Then running the drawstring thru. I won't go into details about that as I won't be able to explain it without confusing you (if I haven't already). My best advice is just work with it a bit. Or watch this video. The way I learned to sew was by making an insane amount of mistakes and learning from each one how not to do it! Hey, whatever works. Besides, you're practicing on shirts you would have eventually thrown out anyway so take the time to learn a few sewing basics and allow yourself a few mistakes along the way. I promise, if I can do it, anyone can! 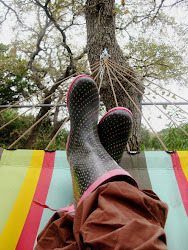 I have to tell you, I've had quite interesting responses to my baggie bags at the grocery store! This is how my dark chocolate covered almonds (my absolute favorite snack) comes home from the bulk bins now. The cashiers don't even bother to look what's in them, they just go on and on about how cool the bags are and what a great way to save on plastic. I've had some cashier's call others over to take a look they're so amazed. Totally worth it. The kids beam, saying "That's from one of my shirts!" and we all walk away feeling like there's hope for at least a little less plastic in our world. 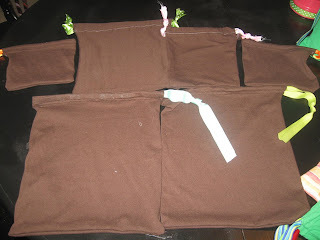 I use the larger tshirt bags (where 1 bag is made from 1 shirt - link to tutorial here) for farmers markets and for grocery store produce such as kale, spinach, lettuce - anything that's large, tender, and hard to shove in smaller bags. I use the smaller bags for lemons, avocados, bananas, herbs, or any other produce that would otherwise be put in a plastic produce bag. I use the even smaller bags for my bulk bin items: raisins, nuts, oats, dates, pretzels, etc. The bags can be thrown in the wash if they get dirty. 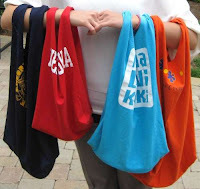 Just keep an assortment of them with your other recycled grocery bags. 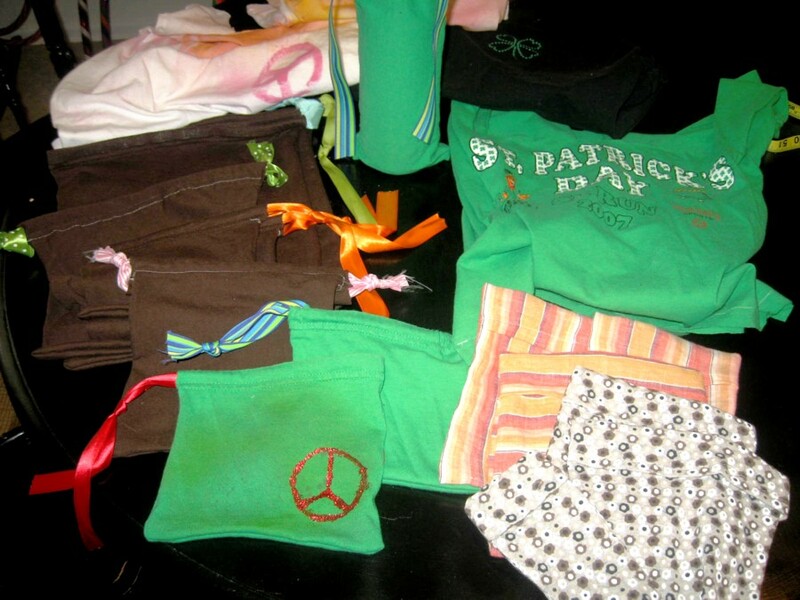 We use some of the bags for markers, makeup, small toys that go with us to restaurants, hair accessories, etc. We took some to camp with us to put our toiletries in, and clipped them to our camp bags. We also tied some of the small ones to our beltloops to hold snacks and coins. 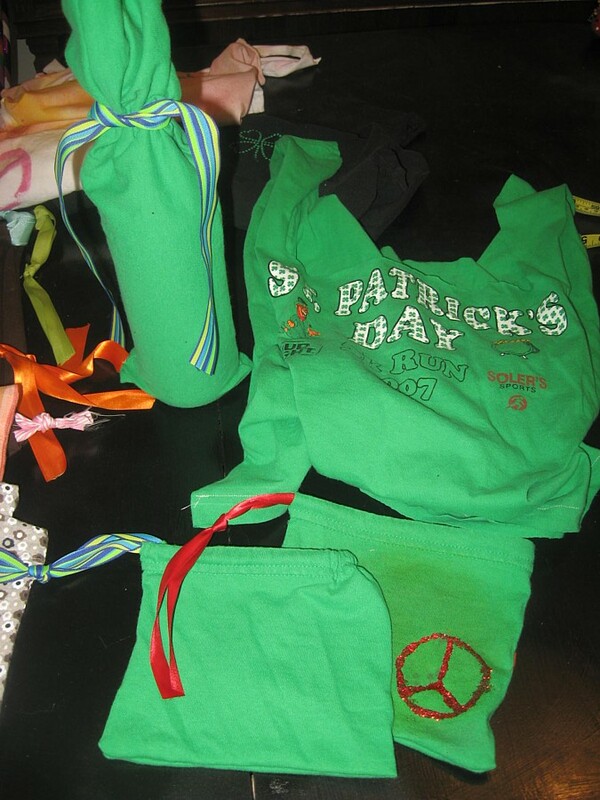 We found some glitter glue and added peace signs and other various decorations to the bags. We even made a long bag (from the bottom of one of the larger shirts) to use as a wine bag (you could also use the sleeves from long sleeve shirts)! (oh, and the discoloration on the little green bag with the peace sign on it is from my attempts to spray tie dye paint on it...it apparently doesn't work on green, just fyi). But the glitter glue works great! 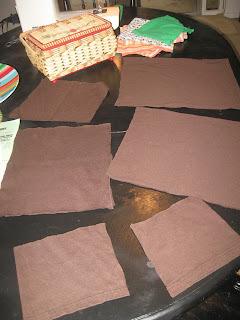 From this tutorial we made a handful of snack/sandwich bags with the fold over tops. We use these for snacks and bulk bin items or for packing picnic sandwiches. So, go grab some shirts, dust off your sewing machine and cross plastic baggies off your grocery list forever! *moved this over from another blog that I'm trying to consolidate...sorry for the double posting for those of you who've seen it already!